Obviously, the first query should return less rows than second one, but we can see that it returned more rows and join predicate “and t1.a = t.id” was ignored, because A and B are not empty and “A” is not equal to t.ID. Everyone knows that rownum in inline views blocks many query transformations, for example pushing/pulling predicates, scalar subquery unnesting, etc, and many people use it for such purposes as a workaround to avoid unwanted transformations(or even CBO bugs). But we recently encountered a bug with it: lateral view with ROWNUM returns wrong results in case of lateral view decorrelation. SELECT VALUE(KOKBF$2) "ID", "VW_DCL_76980902". "RN" "RN"
(SELECT ROWNUM "RN_0", VALUE(KOKBF$0) "ITEM_3"
TABLE("ODCINUMBERLIST"(1, 1, 3, 3)) "KOKBF$1"
And it confirms that rownum was calculated on the different dataset (t1-t2 join) without join filter by table t.
Intermittent ORA-01483 After upgrade to 12.2 we started getting “ORA-01483: invalid length for DATE or NUMBER bind variable” in different applications using different oracle drivers. 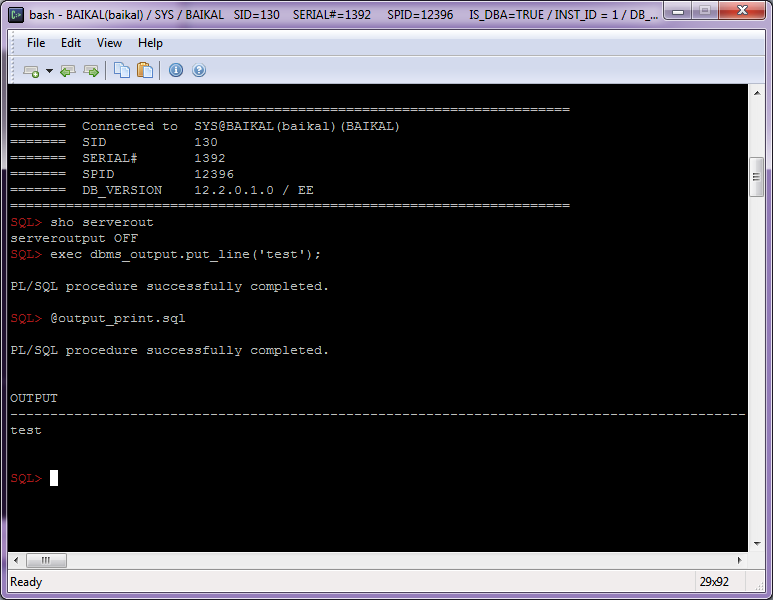 Interestingly, that after reconnect, Oracle processes the same statement with same bind variables successfully. Looking into errorstack dump (alter system set events ‘1483 trace name errorstack level 3, lifetime 5’;) we have found that oracle mixed up all values. The only similar bug we found in MOS was “OCI Application Fails With ORA-01483/ORA-01461 When Inserting VARCHAR2 Field From 12.2 Database Using Database Link To Lower Database Version. (Doc ID 2309285.1)”, but it shows different symptomps. Nevertheless, we have tried second workaround from this doc and it helped us. 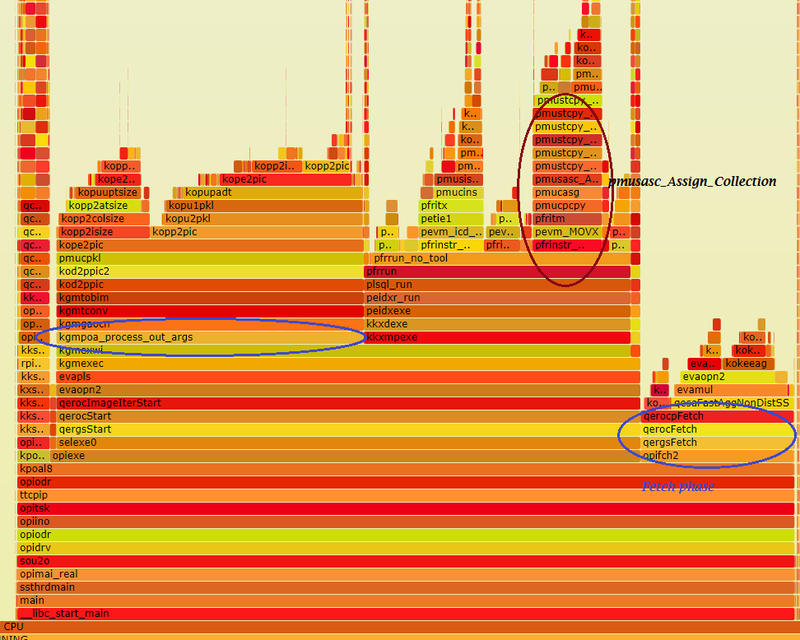 Recreate indexes as TRANSACTIONAL Near real-time indexes with SYNC(every…) option. and values ‘YES’ for preferences ‘CTXSYS.JSONREST_GERMAN_LEXER’, ‘CTXSYS.JSONREST_GERMAN_DIN_LEXER’. Oracle tries to compare ‘YES’ with 1 in decode() and raises ORA-01722.